﻿ Member Spotlight: Yoga helps you connect with yourself. My best friend Lauren O'Bryan introduced me to yoga our freshman year of college. I absolutely fell in love with the practice. I've been doing yoga for almost a full year. I absolutely love online yoga. I'm a college student so being able to just log onto my laptop and pick any class I want is absolutely amazing. It's quick and simple and I have a large variety of classes to choose from. I can also pick the type of class I want based on how I'm feeling that day. This is especially useful for me since I'm a runner, so sometimes I'll have hard runs and I'll settle for a gentle yoga session. 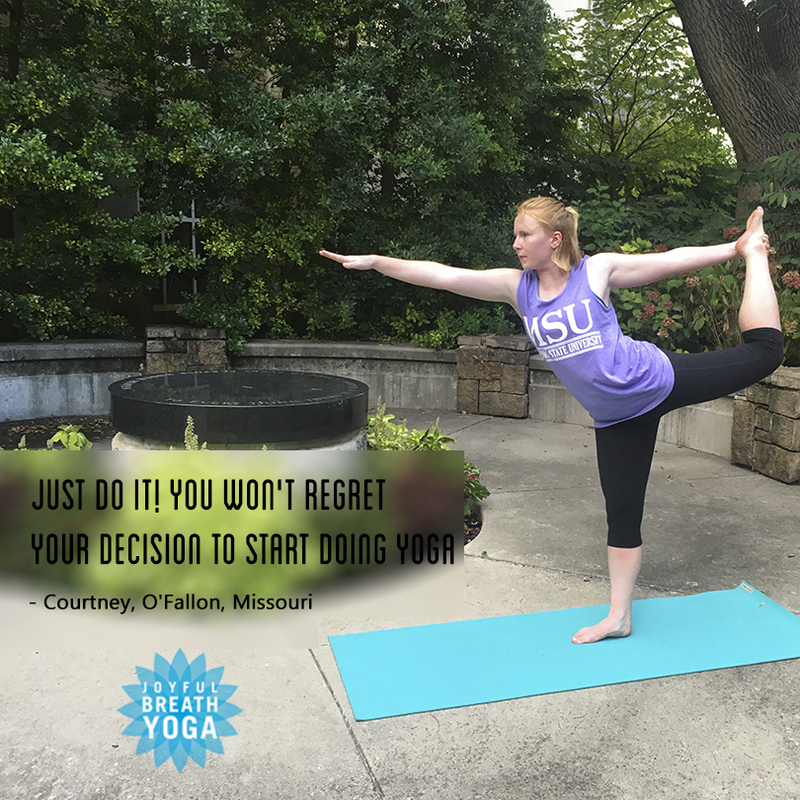 Online yoga is easy and accessible for college students! ABSOLUTELY. Before I started doing yoga I couldn't even touch my toes! Yoga has helped me really connect with myself and it has helped me discover parts of myself I didn't even know existed. Yoga doesn't just make you flexible, the practice itself makes you love your body and mind. I've never felt more connected with who I am. I recommend yoga to practically everyone I meet. Yoga is definitely something I believe everyone should try at least once. For me, it has helped me shape myself into the person I want to be. The only difference is people in the room. I've had wonderful experiences both online and in the studio. Just do it! You won't regret your decision to start doing yoga. Online Yoga lets you go at your own pace so you never need to worry about not being flexible enough! Especially to every college student, online yoga is a simple and quick way for you to get your daily exercise in! Practicing yoga has definitely changed my life for the better and I hope it does for everyone else that chooses to practice.